Here I give you Nike Inter Milan 2017/2018. I have no word for this team. Sorry. Credit goes to Juan Manuel, Nike and the original font maker. 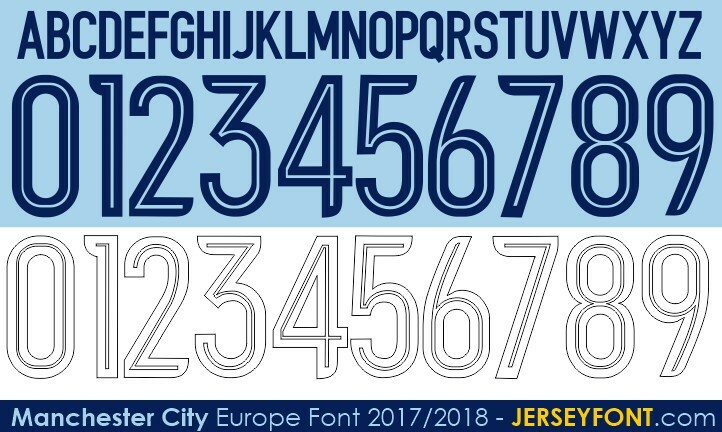 Here I give you a new Nike Manchester City jersey font for next season. This new font comes from fan's quote on their official website couple months ago. 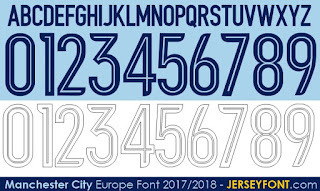 They will not use this font at Premier League matches. They'll only use this at UEFA Champions League's matches. The file will be available on corel draw 17 format. Use it for non commercial purpose only please. Here I give you Adidas Juventus font for serie A and UEFA Champions league 2017/2018 season. Released with brand new logo on this month. Sorry for bad letters quality. Update on other kind of file (ttf) will coming soon. Use it for non commercial purpose only please. Credit goes to the original font maker and Adidas.Finally I have the bold version. please check on my latest Juventus' post.